Remove Ingrown Hair & Odour IN DAYS! The Bikini Line and Brazilian is the most uncomfortable area to have ingrown hair develop. Legole will not only remove your Ingrown problem IN DAYS but ALSO eliminates the ODOUR problems in these areas too! Use at home, work and before those intimate moments to keep you fresh and confidant all day and night. Ingrown Hair on the Under Arms is irritating, unsightly and uncomfortable. 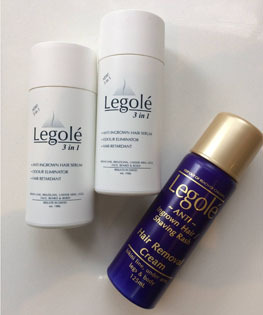 Legole 3 in1 Ingrown Hair Serum has been proven to remove the Ingrown hair from the under arms in just DAYS! Guaranteed! Developing Ingrown Hair on the legs is common. Apply Legole 3 in1 Ingrown Hair Serum daily to remove your ingrown problem and keep it away with continued use ~ GUARANTEED! 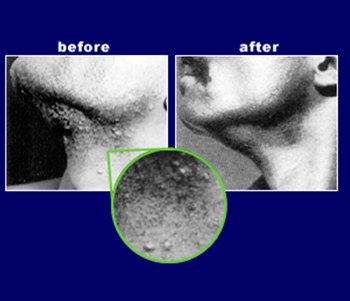 Men suffer Shaving Rash or Razor Burn on a daily basis on face neck, chest, jock line, back, private areas and at the base of the spine. Legole 3-in-1 Ingrown Hair Serum treatment will eliminate these problems IN DAYS! 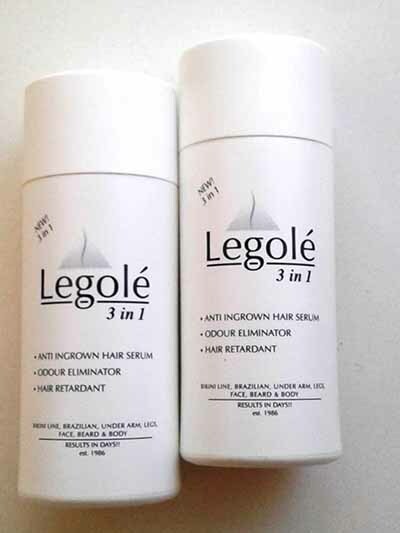 Legole GUARANTEES to Remove Ingrown Hairs IN DAYS, INSTANTLY Eliminate Odour and Condition the Skin with daily use. Having to shave daily is painful and uncomfortable and results in “shaving rash” which itches constantly and looks like acne. 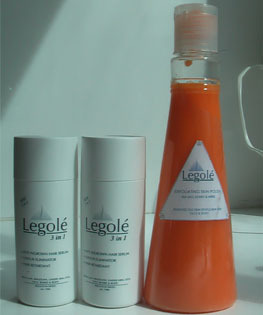 Legole starts working on your ingrown problem on application and you will see RESULTS IN DAYS! Guaranteed! Women experience ingrown hair problems immediately after hair removal. Its uncomfortable, itchy and resembles an unsightly red rash. Legole gets these RESULTS IN DAYS ~ Guaranteed! 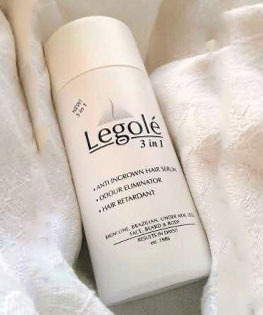 The Legole 3-in-1 Ingrown Hair Serum treatment is a unique Aqua based triple action formula that saves you time and money. Just apply twice Bikini Rash After Hair Removal Cream daily to the ingrown hair area and be amazed at the results you will achieve in just days as your Ingrown Hairs vanish before your eyes. Ingrown Hair is suffered immediately after hair removal, by over 87% of both men and women globally. Ingrown Hair problem occurs after the hair has been removed via either shaving, waxing, hair removal creams, threading, sugaring, plucking, depilation machines, or any other form of hair removal. This unsightly embarrassing problem develops on the bikini line, brazilian, underarm, legs, eyebrows, lip line, men’s face, neck, jock line, back, chest, between the buttocks and at the base of the spine. This problem is also referred to as ingrowns, bumps, razor rash, shaving rash or waxing rash. The ingrown hair problem first appears as a fine red itchy rash which then develops into lumps which fill with pus and itches constantly . This reaction happens within minutes after hair removal, causing the constant major discomfort. This problem reduces the confidence of the sufferer in work, social and intimate situations. Those with coarse thick hair strands or curly hair may experience an acute problem due to the curly structure of their hair where the curls back into the skin causing irritation to the hair follicle. 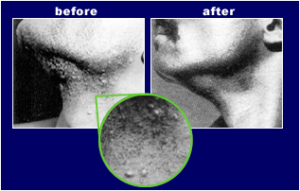 The development of Ingrown hair is usually accompanied by an infection of the hair follicle (folliculitis) or (pseudofolliculitis barbae), where the skin around the mouth of the follicle fills with pus as a natural body protection mechanism. This problem is uncomfortable, unsightly and is usually accompanied by the dreaded constant embarrassing itching and odour which is the result of the pus filled infected follicle. These problems impact negatively on ones confidence, making us feel nervous and self conscious, preventing us from wearing swim wear, shorts and other revealing clothing that exposes the skin AND during those intimate moments. Your problems are now over ! 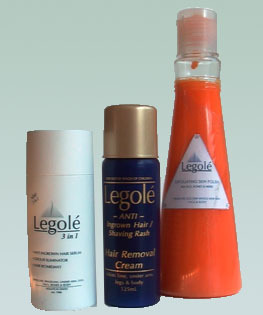 Legole is the tried and tested Best Ingrown Hair Treatment Products for clients internationally for over 30 years ! Guaranteed! Hers’s PROOF Legole REALLY WORKS! When the hair is removed, it is almost always removed against the grain (in the opposite direction to hair growth) where the hair is essentially being cut or broken inside the hair follicle. Bacteria is introduced into the area through picking and scratching, causing skin to naturally try to heal itself. trapping the hair inside the follicle. 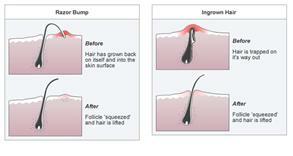 The hair continues to grow inside the follicle in a “spring like” formation resulting in ” bumps”. People with coarse (dark & thick) or curly hair have a particularly acute ingrown hair/ shaving rash problem because of the texture and curly structure of the hair which curls back into or under the skin causing the problem. No need to worry any more Legole Anti Ingrown Hair Removal Cream is THE solution to your ingrown hair and related odour problems. You will be amazed at the results achieved almost immediately by using our Best Ingrown Hair Product For Sale. 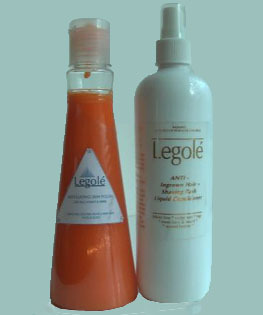 Legole is pH balanced, water-based, not tested on animals and proven to be gentle on the skin. Unlike other Ingrown Leg Hair Removal Products, this amazing product does not contain any HARSH alcohol, cream, gel or AHAs. All of these additives have been found to exacerbate the problem. Alcohol causes burning, drying and cracking while creams and gels are too sticky, leaving excess oiliness on the skin – which is an ideal breeding ground for bacteria to thrive. 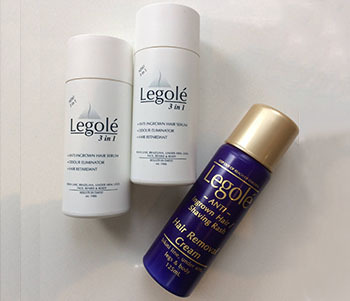 Apply the Legole 3-in-1 Ingrown Hair Serum treatment twice daily after showering. Our formula also sanitises the skin, and eliminates odour from the area..
You can purchase one Legole product that performs all 3 essential functions..
ORDER NOW! THOUSANDS OF HAPPY USERS GLOBALLY HAVE ACHIEVED AMAZING RESULTS IN DAYS! Buy 2 x Legole 3-in-1 Ingrown Hair Serum treatment and receive A FREE HAIR REMOVAL CREAM! We are so confident that you will achieve results within days that we offer a MONEY BACK GUARANTEE. Exfoliation is an important part of your daily shower routine. Daily exfoliation scrubs away dull dead skin cells that build up all over the body, revealing fresh new younger looking layers underneath, using natural sea salt as the “lifter” of dead cells and honey as the soother. 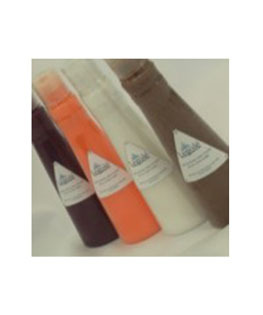 Other exotic herbal and fruit extracts such as Turmeric feed, nourish and protect. Take advantage of our special online deals. BONUS BUY: Buy 2 X Legole 3-in-1 Anti Ingrown Hair Serum & Receive a FREE HAIR REMOVAL CREAM! My name is Rhian... and I have been using Legole 3 in 1 for 3 months now. I always get little red ingrown hairs over my body in small patches. I have tried everything, from changing my shaver, to waxing and different lotions and potions. My partner informed me that he uses Legole for his face and he hasn't seen an ingrown hair since using it. I can safely say the same now. I have not had one ingrown hair, no itching and no red lumps appearing. I love the value I receive for little bottle and I would just like say thank you for making me a happy customer and helping me feel a bit more confident.